Serrapeptase information provides us with data about an amazing natural enzyme which is produced by extraction from the intestines of a silkworm. The populace of Europe and Japan know its attributes for eliminating inflammation and have used it widely for many years. When it is time for the silkworm to transform, and the butterfly is ready to leave the cocoon, this enzyme is responsible for dissolving an area of the cocoon to create an opening for the butterfly to escape. Over the years, folk medicine realized that Serrapeptase dissolves non-living tissue. It greatest attribute is that it does not damage living tissue. It has been used to treat many health ailments. Most of us have used Tylenol, Advil, or Motrin (NAID’s) for inflammatory conditions. But how often do we think about the side effects of these pain relievers which is well documented. But research has shown that Serrapeptase does not have any harmful side effects. As an anti-inflammatory agent, it naturally reduces pain by blocking amines from the inflamed tissues. Rather than NAIDs, this natural enzyme destroys dead tissue that is responsible for the pain. It is so much more beneficial than a temporary pain reliever. Serrapeptase is also helpful for cardiovascular health because it can dissolve the plaque that restricts the blood flow in the arteries causing a blockage. The properties of this natural enzyme dissolves the plaque thus preventing a potential heart attack. The silkworm is one of nature’s most amazing creatures. The Chinese have cultivated silkworms for almost five thousand years. 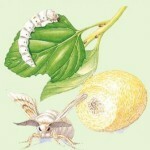 The larvae of the silkworm spins a cocoon which make up the silk threads from which the beautiful silk material is made. This natural fabric, silk, has been prized throughout the world for centuries. 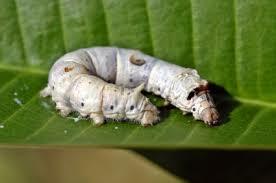 In addition, the lowly silkworm produces another special healing gift for mankind. 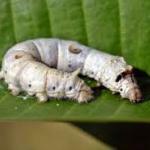 In the gut of the silkworm is found a friendly bacteria that produces a naturally occurring enzyme called Serrapeptase. Once the silkworm spins the cocoon, it is literally trapped in within the strong silk threads. This enzyme goes to work digesting the cocoon to free the transformed butterfly, enabling it to escape. The health benefits of this enzyme are amazing. Although it has been popular in Asia and Europe for a number of years as a medicine, in the United States, it is categorized as a supplement. About twenty-five years ago several Japanese research biochemists discovered the variety of health benefits of this incredible enzyme although it was well-known in the Japanese folklore. A German physician, Dr. Hans Nieper was also responsible for extensive research pertaining to this enzyme and was astounded at the results with his patients. Interest continues as more and more people are looking for natural alternatives to address their health issues.